The fairways are incut with renaturalised areas that caress them and highlight their shapes, adding colours and fragrances that change through the seasons, recreating the original atmosphere of each place. A huge maritime pine is the only tree on the course where large bunkers define the fairways. The course is like a links, except for the presence of the two large artificial lakes that serve as irrigation reserves and oases for migrating birds. Indeed many species find and return to their natural habitat here. The course is highly exposed to the dominant wind from the sea and has multiple tees for each hole to change the course from one day to the next. One of the features of the course is its green approaches and collars in agrostis up to the mounds that surround the greens, thus accentuating the links characteristics. 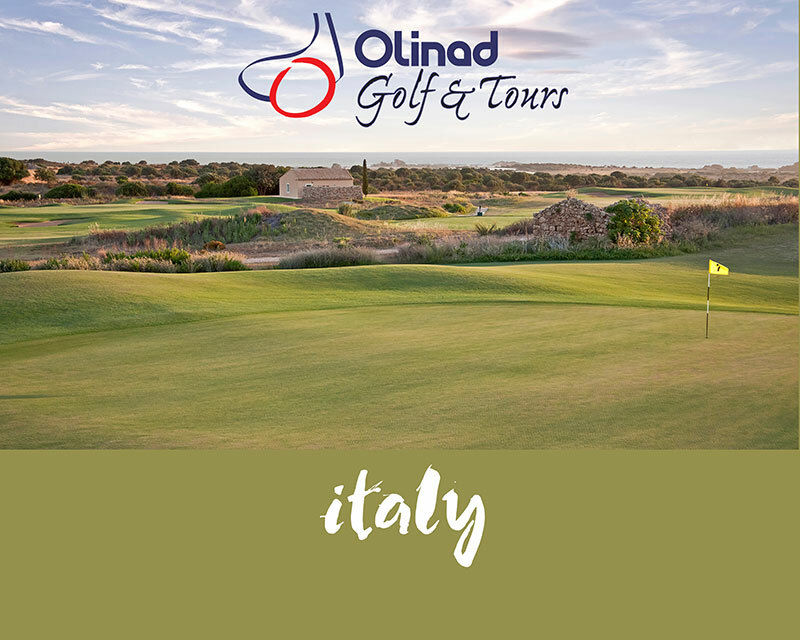 The landscaping with gentle slopes alternately hides players behind mounds, cutting them off from the rest of the course, and then provides them with incredible views of it and of the sea.